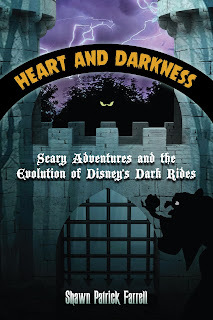 I have not yet received copies of Heart And Darkness and The Backstories and Magical Secrets of Walt Disney World which have just been released by Theme Park Press, but I know that many of you will like to know that those books exist. Anyone of you living in the Miami area? 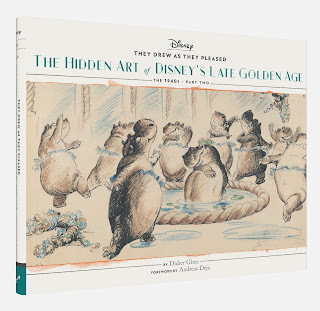 If so, just a quick note to let you know that I will be talking about the making of They Drew As They Pleased - The Hidden Art of Disney's Late Golden Age this coming Friday (December 1) at Books and Books in Coral Gables at 8PM. 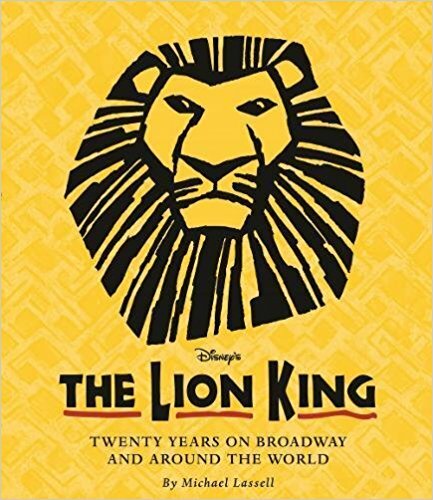 It's hard to believe, but The Lion King musical just celebrated its 20th year in existence. 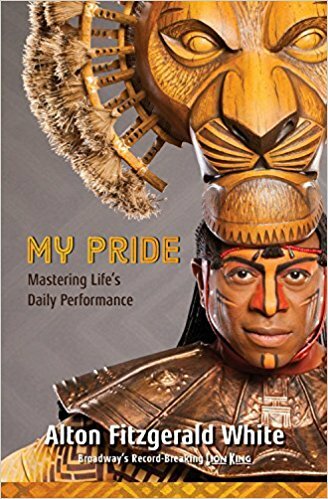 To celebrate the occasion, Disney Edition just released two wonderful books: The Lion King: Twenty Years on Broadway and Around the World by Michael Lassell and the autobiography of actor Alton Fitzgerald White, My Pride: Mastering Life's Daily Performance. If you love the show, both books are truly excellent read. The upcoming animation art auction by Heritage Auctions contains some spectacular stuff!! Here are a just few of the highlights from my very subjective standpoint. Concept art by Tim Burton for The Black Cauldron, original publicity drawing by Hank Porter for How to Play Football, original concept drawing by Ken Anderson for Alice in Wonderland and a splendid concept piece by Mary Blair for The Little House. What a feast for the eyes. I hate tooting my own horn, but the news that hit me today means so much to me that I have to mention it. As most of you know, the Annie Awards (awarded by ASIFA-Hollywood) are the Academy Awards of animation. 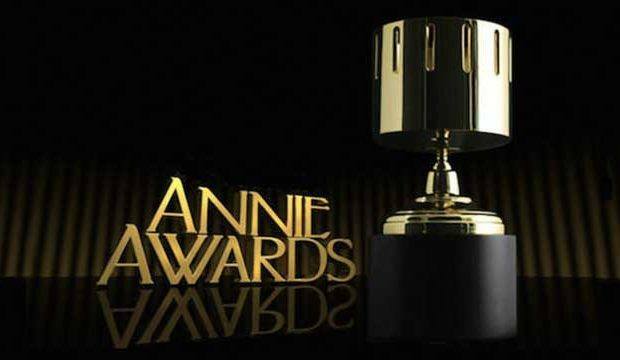 Today ASIFA-Hollywood has announced this year’s slate of recipients for its Juried Awards honoring career achievement and exceptional contributions to animation. 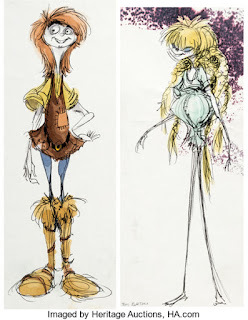 I was stunned to learn that I am being awarded the June Foray Award (the award for significant and benevolent or charitable impact on the art and industry of animation). There is no honor that could mean more to me and no award that could excite me more that this one. And of course, I would not have gotten it if it weren't for all the animation historians who helped me tremendously throughout the years and who carry on supporting me today. I am humbled and just really, really happy. I hope to see some of you at the official ceremony on February 3, 2018 in Los Angeles. 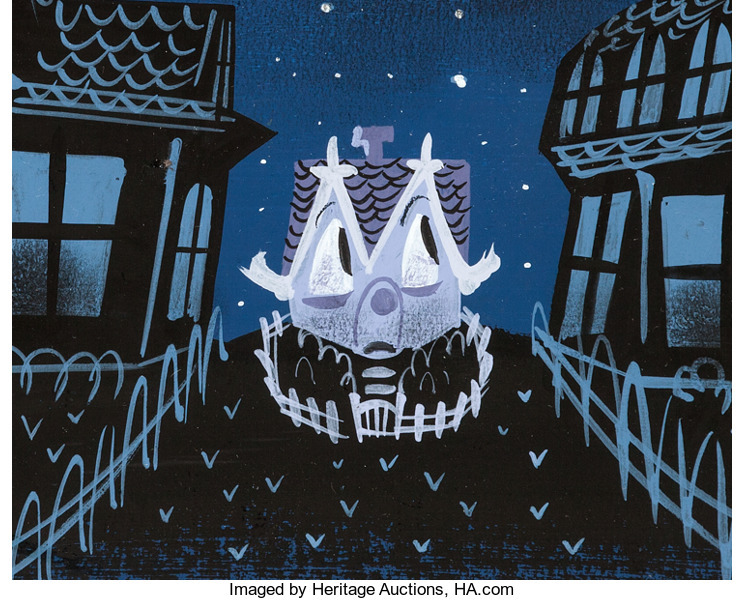 There are two amazing auctions coming up. 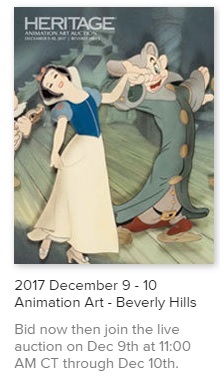 One focusing on Disney parks collectibles, the other one on animation art. 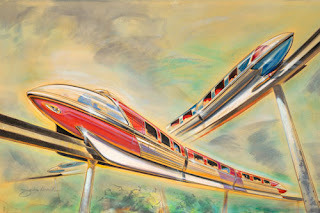 The Disney parks one is run by Van Eaton Galleries. The catalog is now available for purchase on Van Eaton's website, at this link. Some stunning stuff in there! 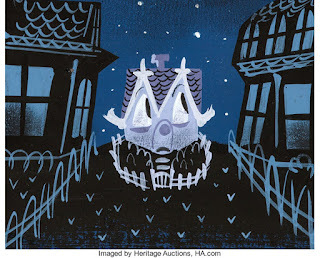 (Thanks to Michael Goldberg for the heads up). I will discuss the animation art related auction tomorrow. I just got Pierre Lambert's new book today and it's a masterpiece as always. 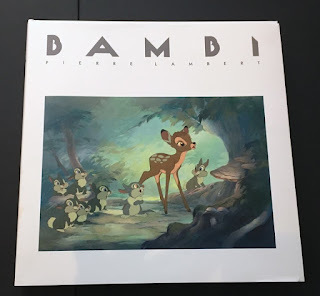 It is slightly smaller than his previous volumes, but it is also much cheaper and the quality of the art reproductions is stunning, which will not be a surprise for any of you. The text is in French, but as you know, Pierre's books are first and foremost about the art. This is a "must have" from my standpoint. Finally! 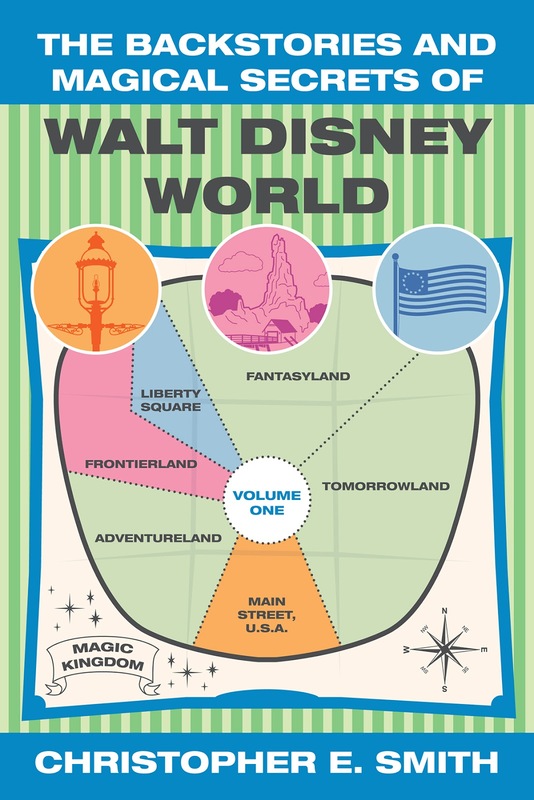 Walt's People - Volume 20 has been released. - O.B. JOHNSTON analyzes the Disney Studio's early merchandising efforts, and his own four decades with the company as the head of its character merchandising division, in this book-length memoir. 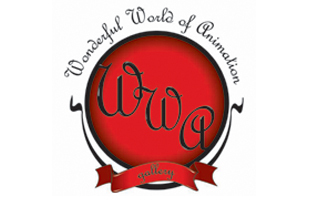 - WILFRED JACKSON recalls the triumphs and tribulations of his three decades as a director of numerous Disney cartoon and features, including Snow White, in two lengthy interviews with Michael Barrier and Milt Gray. 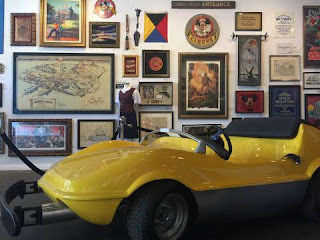 - HERB RYMAN talks about his early years at MGM, his experience as an art director for the Disney Studio, his transition into Imagineering, and his close friendship with Walt Disney. 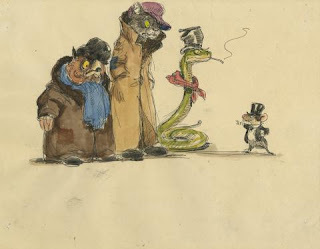 - Animation historian Amid Amidi evaluates the career of TOM OREB, a little-known character designer and storyman who worked at the Disney Studio during the 1930s through the 1950s. As always there is some extremely rare material in this volume which is made available for the very first time. What is Call Me Walt? Amazingly, that is a much more difficult question to answer than many people imagine. After all, there are dozens of biographies about Walt Disney both in English and multiple foreign languages as well as additional references to his life in countless other books. 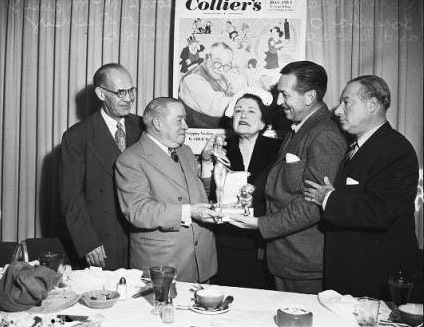 Magazines and newspapers for decades have published a summarized overview of Walt’s life. 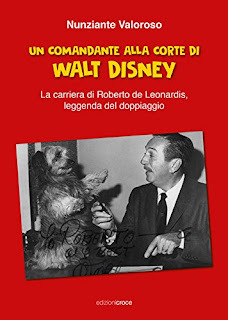 Even The Walt Disney Company beginning in the 1930s had a pre-printed, multi-page biography to give out to journalists. Walt himself often gave interviews to reporters or made speeches where he recounted his life. We all know the story of the poor Midwest farm boy who only attended one year of high school and went on to become an entertainment legend thanks to his dreams and hard work. Yet all of those accounts have the same fatal flaw. 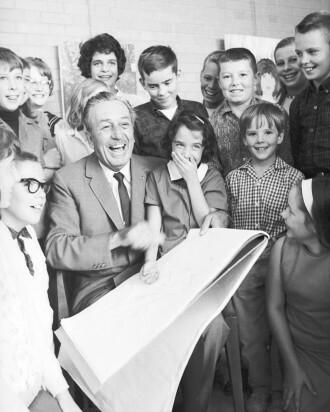 When we think about Walt, we all immediately think about Mickey Mouse and his animated friends, Snow White and the Seven Dwarfs (1937), Disneyland, Audio-Animatronics and similar milestones that transformed not only entertainment but the entire American culture. Despite his showmanship and being in a bright spotlight most of his life, Walt Disney the man himself is still a mystery to almost everyone. Where did he buy his clothes? What different cars did he drive? Did he also have cats as pets besides dogs? What charities did he donate to without fanfare? Did he believe in God and did he pray every day? 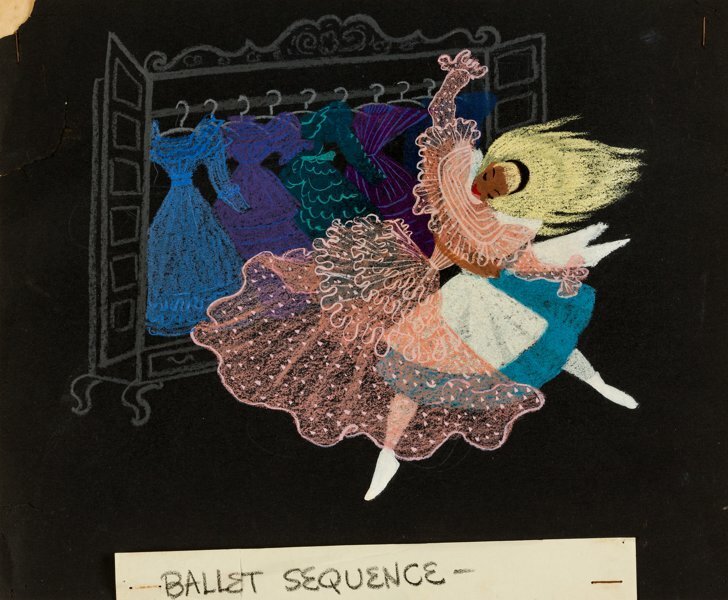 What did Walt and Lillian like to do on warm summer evenings with great frequency? What two television game shows did they love watching in the evening as they ate on trays? What were Walt’s political views? 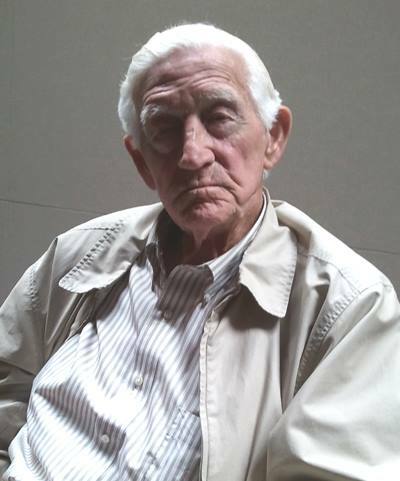 What things did he do with his grandchildren that they still remember vividly fifty years after he died? 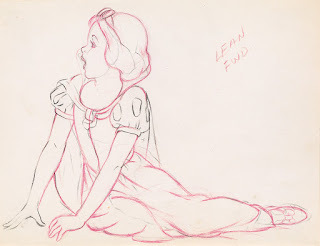 How much did Walt Disney weigh? 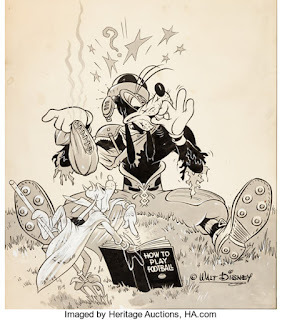 Who was his ophthalmologist who prescribed reading glasses that Walt never wanted to be photographed wearing? The answers to all those questions and many, many more like them are in the book along with documentation. Since his death, Walt has come under many attacks but those vicious misrepresentations are often at the brand that Walt created around the name “Walt Disney” rather than the man himself who remained very private and hidden from just about everyone. 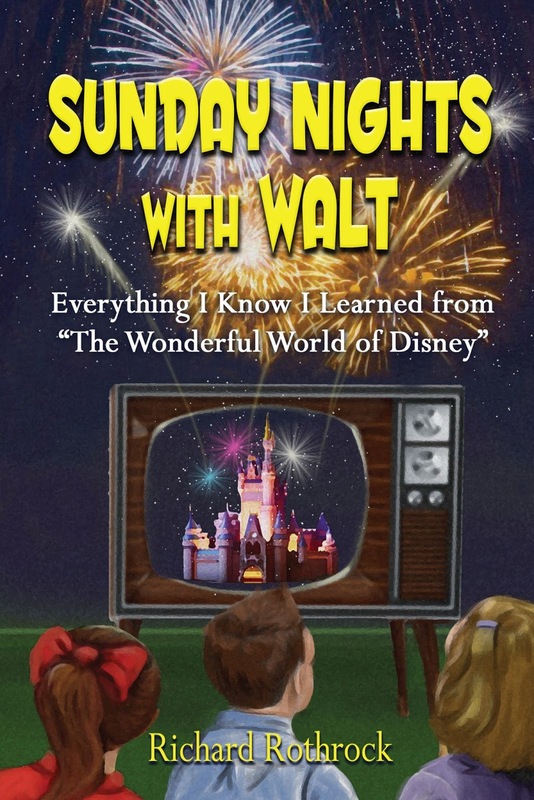 I felt it was time for a book that concentrated on Walt and not his accomplishments. 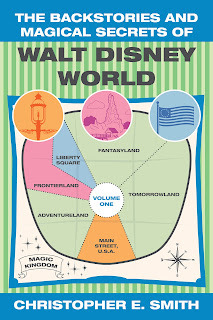 So my book features no mention of Mickey Mouse or Disneyland. It does, however, point out that he had a box at Santa Anita horse race track (along with one at the Hollywood Park race track) that he frequented as well as one at Dodger Stadium about three rows up behind first base. While Walt was concentrating on the Florida Project, Mineral King, California Institute of the Arts, Mary Poppins (1964) and so much more, he was spending a good deal of his time participating in lawn bowling tournaments with his hand-tooled bowling bag. Even today, there is an annual international lawn bowling tournament that awards a four-foot tall perpetual trophy made of solid Brazilian redwood with imbeds of Walt’s four personal lawn bowls along the base and is topped by a golden foot-high Mickey Mouse figurine. The book is not another biography. It is not chronological. It is not definitive. 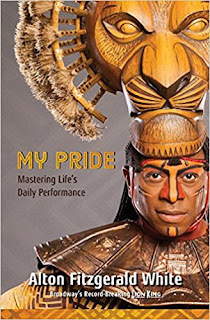 Every chapter is self-contained like many of my books. 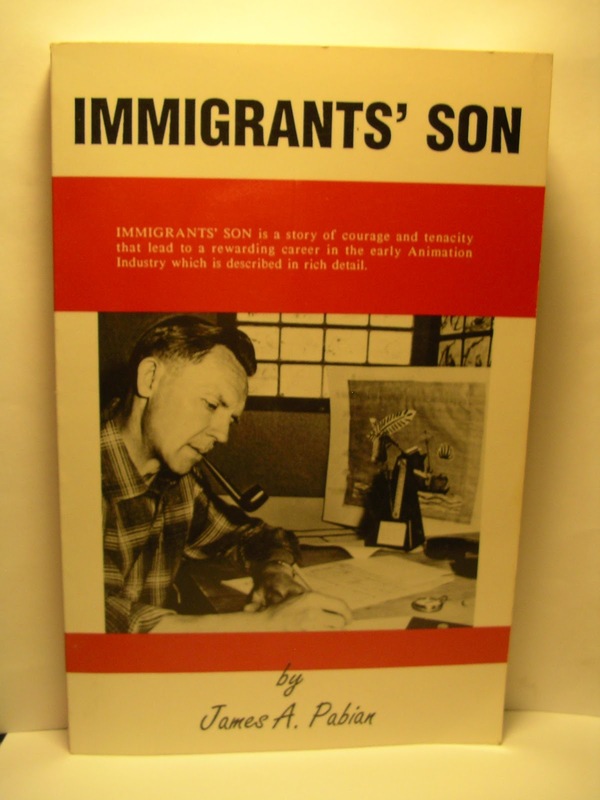 The book is about Walt as a person, a son, a brother, a husband, a father, and a grandfather. While I freely admit I have great fondness and respect for Walt and that may influence the tone of the text, it did not prevent me from simply stating the facts both good and ill. Several chapters are devoted to his flaws from his temper to making fun of others. 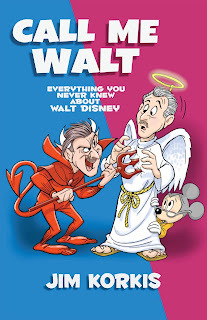 I have included twelve chapters to debunk some of the most common myths about Walt including that he was frozen, born in Spain, was racist, dishonorably discharged, an FBI informant, a freemason and more. 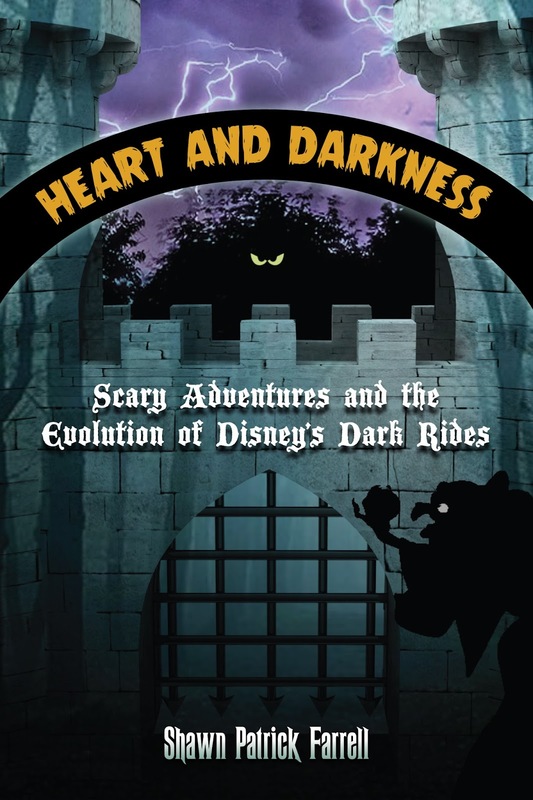 The foreword to the book is by Disney Legend Floyd Norman who among other things shared: “I personally never saw any racist behavior or words from Walt. When I was there in the 1950s and 1960s, I knew Claude Wilson who was the black janitor at the studio. A janitor is pretty much invisible in that people never pay much attention to him so he was able to overhear uncensored conversations as he was cleaning up. He never heard Walt being racist or others talking about Walt being racist. 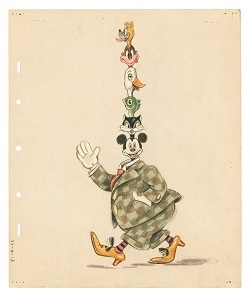 The more I tried to uncover Walt Disney, the more surprises I encountered. One of Walt’s favorite pastimes when he went to the mountains to ski was ski-joring [a winter sport where a person on skis is pulled by a horse, a dog (or dog team) or a motor vehicle] and so that activity might have ended up at the never completed Mineral King ski resort. Walt still owned shares in the Sugar Bowl ski resort as the time of his death. “I don’t think anybody really knows him anymore. His name is so familiar and the brand is everywhere. As a daughter, I have been very upset by things that have been written and said about him that were not true. He was my trusted friend. I could tell him anything and everything and know that he would understand. He loved being a daddy and a grandather. 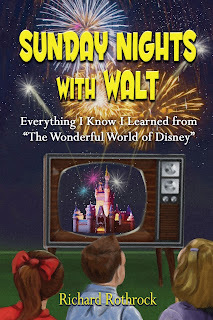 This book may not really be everything you never knew about Walt but it is filled with many things that are usually not covered elsewhere with some items that may still surprise even the most diligent Walt scholar. If this type of information interests you, you may want to consider putting the book on your list to Santa this year. The striking cover was done by talented animator, cartoonist and director Dave Bennett and was inspired by a similar sketch he did for the animation fanzine Animato! #10 (1986) with some significant changes. 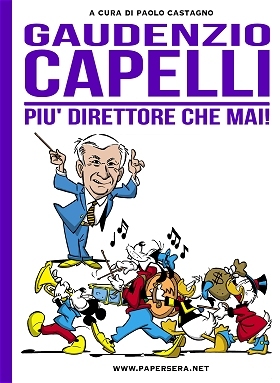 I just received this book and for those of us who can read Italian, this looks like an excellent read indeed. Pierre Lambert's new book about Bambi has now been released and is available on Amazon.fr. Hurrah! I am already eagerly awaiting my copy. 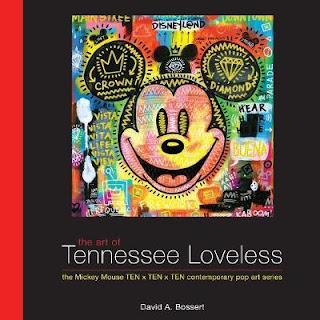 Not a huge lot to say about this new book: 100 Mickey Mouse heads re-interpreted by artist Tennessee Loveless. 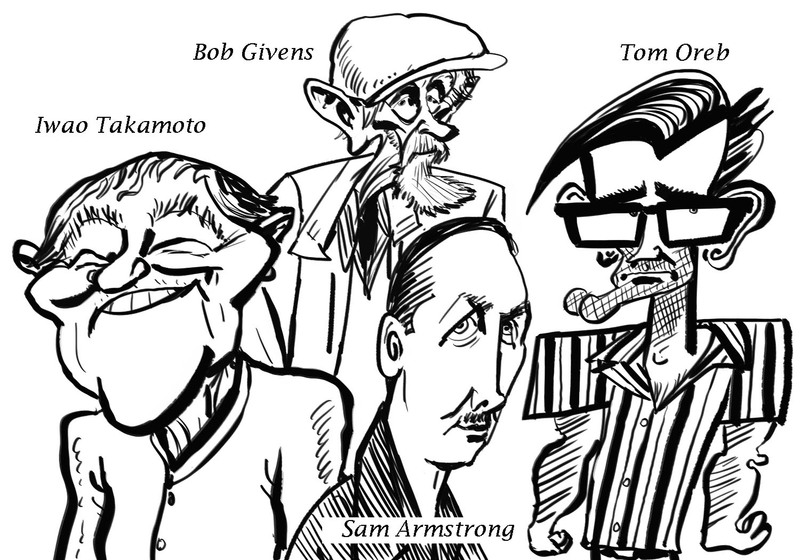 The format and layout of the book are beautiful, and if you enjoy Tennessee Loveless you will really love this volume. I am just back from a quick business trip to Mexico, but unfortunately I was neither able to stay for the Day of the Dead celebrations nor did I have time to screen Coco, which was released in Mexico before its launch in the US. I did see some of the decorations of the city, though, and some of the arresting (and huge) paper monsters that were on display in the main avenue of Mexico City (Paseo de la Reforma). 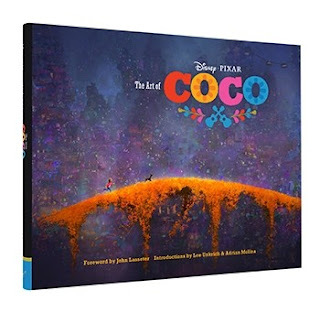 Which is why, when I came back home two days ago and discovered The Art of Coco, I could not wait to see what it contained. I was not disappointed. The artwork is absolutely beautiful, I adore the character designs and the mood the Pixar artists created for that movie, and I simply can't wait to discover this new animated feature, which excites me more than any in quite a while. My good friend and fellow animation historian Joe Campana stumbled a few days ago upon the autobiography of animator James A. Pabian, Immigrants' Son. There are only about 30 pages dealing with Pabian's career in animation at Iwerks, Schlesinger and Harman-Ising but I found them to be of extreme interest and I thought that a few of you would like to know that this book exists. 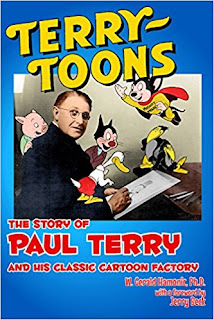 And there is an excellent interview by Martha Sigal with James' brother Al and his wife Joan courtesy of Harvey Deneroff which was posted at this link by Jerry Beck from Cartoon Research. The blog will be updated again on November 3. One last reminder for those of you in LA!! Some great pieces of concept art that I had never seen before are being sold by Van Eaton Galleries right now. The two above are by Mel Shaw for The Great Mouse Detective. 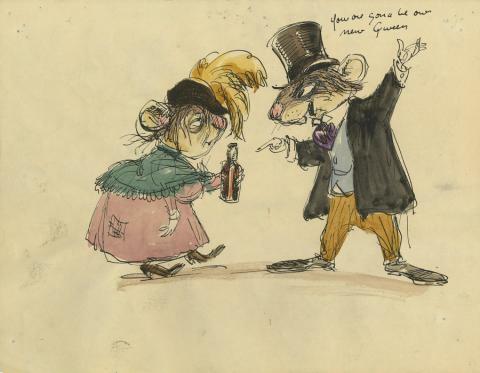 They will not be included in They Drew As They Pleased - Volume 5, sadly, as they feature smoking and drinking. 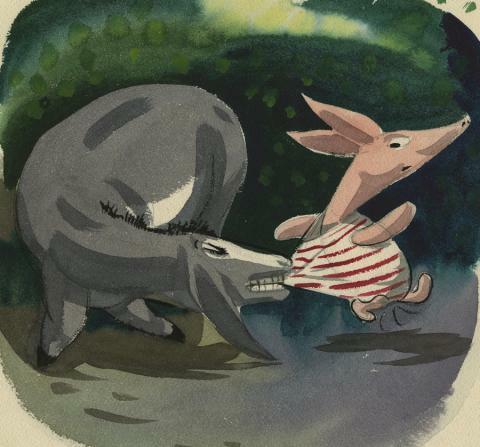 The one below is a very early concept for Winnie the Pooh by Mary Blair from the late '30s or early '40s. 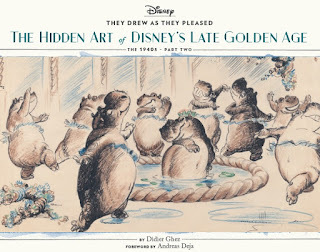 It is too late to include it in They Drew As They Pleased - Volume 4 (I am reviewing the galleys at the moment), but you will be glad to know that another piece by Blair from Winnie the Pooh will make it into the book. Today is the day!! They Drew As They Pleased - The Hidden Art of Disney's Late Golden Age has finally been released. If you are curious about Disney's Character Model Department and the elite artists who worked for it, get that book as soon as you can. 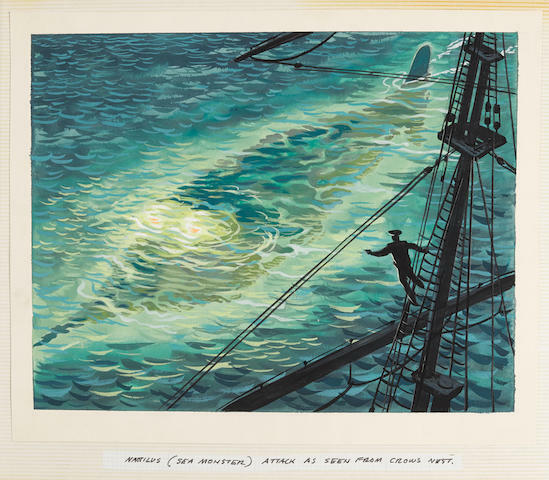 If you want to see close to 400 pieces of stunning artwork which have never been seen before, get that book. 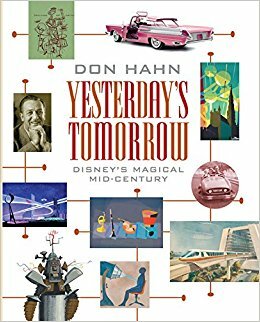 If you want to know a lot more about how the Disney Studio really worked in the late 1930s and in the 1940s, get that book. Also, please remember that sales of this volume are critical if we want to ensure the future of the series, If possible, try not to delay your purchase, please! On June 12, 2018, Disney Editions will release The Disney Monorail: Imagineering the Highway in the Sky by by Jeff Kurtti and Vanessa Hunt. This is definitely a book I will pick up. I have just received a copy of Walt Disney's Nine MORE Old Men - The Flipbooks, presented by Pete Docter. 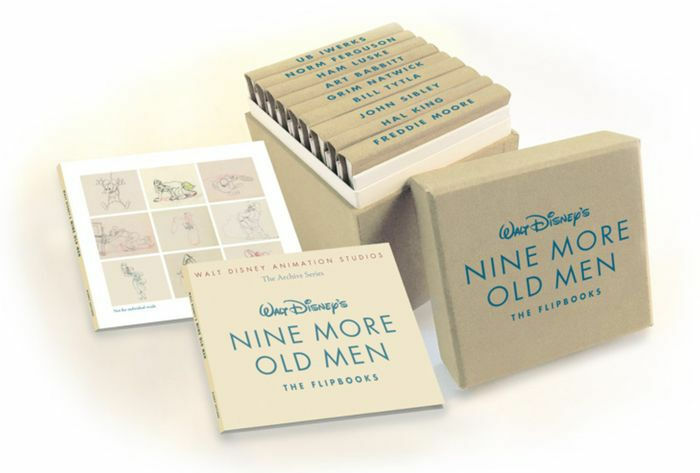 If you liked the first flipbook box-set, you will love, love, love this one. 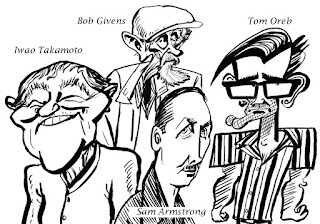 Finally animators other than than the Nine Old Men get their due: Ub Iwerks, Norman Ferguson, Ham Luske, Art Babbitt, Grim Natwick, Bill Tytla, John Sibley, Hal King, and Freddie Moore. 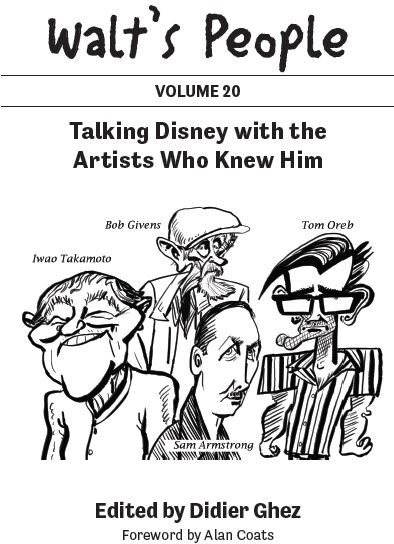 Walt's People - Volume 20 will be released before the end of November. 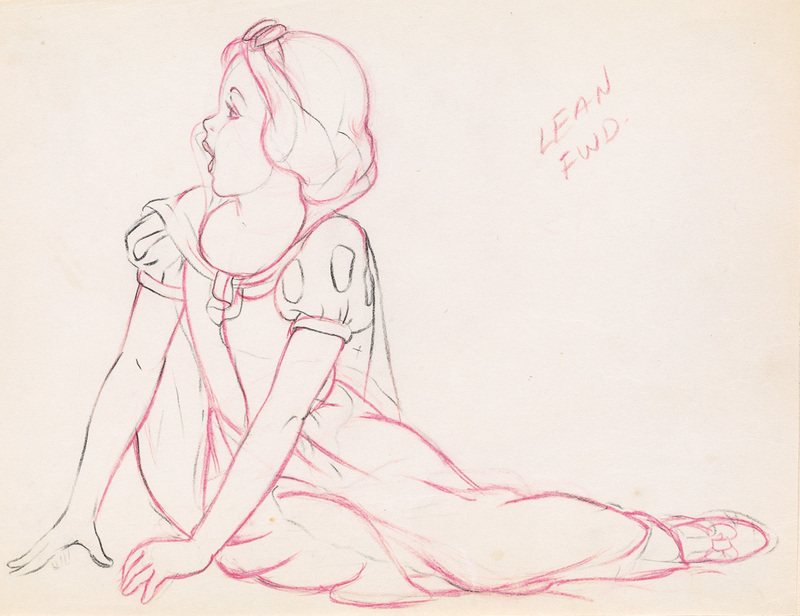 I just received the cover drawing by John Musker yesterday and I love it. 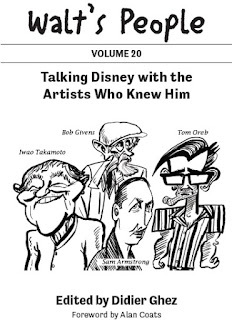 Here is a great interview about the making of They Drew As They Pleased - Volume 3 by yours truly. Please, please pre-order the book, which will be released in just one week!